We presently know of about 13,000 Near-Earth Asteroids, including nearly 1000 that are larger than 1 kilometer in diameter. Typical NEAs range from Earth’s general vicinity out to the heart of the Asteroid Belt on each orbit around the Sun. Their orbits typically have inclinations (relative to the plane of the Solar System) of 10 to 30 degrees, eccentricities of 0.2 to 0.6, and orbital periods of about 2 to 4 years. The mean distance of any NEA from the Sun is usually near 2 AU. But the NEAs are a wildly diverse collection of bodies that originated at widely separated locations in the Solar System. The outliers of this population include some truly remarkable nonconformists. One such asteroid is 2014 PP69. You will recall that the first five characters in an asteroid’s name tell us when it was discovered, in this case in 2014 in the second half of July. This provisional name will be used until there is a long enough history of accurate tracking (usually at least one full synodic period, the time needed to “lap” Earth in its orbit around the Sun), to certify a precise, accurately predictable, orbit. The synodic period is about 2 years for most NEAs. At that time the asteroid will be given a catalog number such as 155629, at which point it will be referred to as 155629 2014 PP69. Once an asteroid has been cataloged the discoverer may propose a name for it, such as Eros or Ceres; let’s call this one Egbert. Then it will be called 155629 Egbert; just plain Egbert to its friends. But the object of this post is just plain 2014 PP69: in the nine months since its discovery there has been no opportunity for it to pass by Earth again, and therefore no chance to assign it a very precise orbit and enter it into the catalog of numbered asteroids. Once the refined orbit is determined, the discoverer of the asteroid gets to give it a name. So here’s what’s unusual about 2014 PP69: its perihelion distance of 1.25 AU, which qualifies it as an Amor asteroid, contrasts sharply with its aphelion distance of 41.79 AU, well outside the orbits of Neptune and Pluto and well into the Kuiper Belt. Its orbital period is an incredible 99.84 years, longer than that of Halley’s Comet. But that’s not all: the inclination of its orbit is 93.63 degrees, meaning that it orbits almost at right angles to the plane of the Solar System—in fact, the orbit is slightly retrograde, moving around the Sun in a direction opposite to that followed by the planets. The eccentricity of its orbit is 0.942, higher than that of the typical short-period comet. At perihelion, closer to Mars’ orbit than to Earth’s, it is traveling at a whopping 40 kilometers per second. What do we know about the asteroid itself? Almost nothing. The discovery images show that it has a visual (H) magnitude of 20.17, which, by the crude “rule of thumb” used for newly discovered NEAs (an assumed average albedo of 0.14; 14% reflectivity in visible light) corresponds to a diameter of about 330 meters. However, the orbit is cometary, suggesting that a more realistic albedo would about 0.035. If it’s that bright and that black, then its cross-section area must be four times as large, and its diameter twice as large, as this crude guess would suggest. That implies eight times the volume and about eight times the mass, raising the question of its impact hazard. The good news is that, despite its large size and kinetic energy, the point at which it crosses the plane of Earth’s orbit is far outside our neighborhood. The body is almost certainly of cometary composition, similar to the Centaurs and the Kuiper Belt bodies and to short-period comets. A reasonable guess would be that it is about 60% by mass ices and about 40% rock, which in turn contains perhaps 5-10% of organic matter, mostly complex polymers. Sending a spacecraft to visit 2014 PP69 would be extremely difficult because of its very high relative velocity. And then there is the problem that the next optimal launch opportunity is a century off. How soon will 2014 PP69 qualify for a catalog number? On its next pass through the inner Solar System we will have an opportunity to track it again with such a long span of observations (a century!) that a very accurate orbit can be calculated. That will be in the year 2114. The bad news is that the discoverer will no longer be alive to exercise the option of naming his baby! Wasn't WISE reactivated in 2013? Can't an asteroid's albedo be determined by comparing reflected visible light with infrared emissions? The answer to your question is generally "yes", but this baby spends almost all of its life far beyond the asteroid belt, where it is so cold (and small and distant from Earth) that it would be undetectably faint. Its orbit makes it very good at evading thermal measurements. 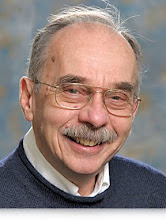 John S. Lewis is a professor emeritus of planetary science at the University of Arizona’s Lunar and Planetary Laboratory and is Chief Scientist at Deep Space Industries. His interests in the chemistry and formation of the solar system and the economic development of space have made him a leading proponent of turning potentially hazardous near-Earth objects into lucrative space resources. Prior to joining the University of Arizona, Lewis taught space sciences and cosmochemistry at the Massachusetts Institute of Technology. He received his education at Princeton University, Dartmouth College and the University of California, San Diego, where he studied under Nobel Laureate Harold Urey. An expert on the composition and chemistry of asteroids and comets, Lewis has written such popular science books as "Mining the Sky", "Rain of Iron and Ice", and "Worlds without End".